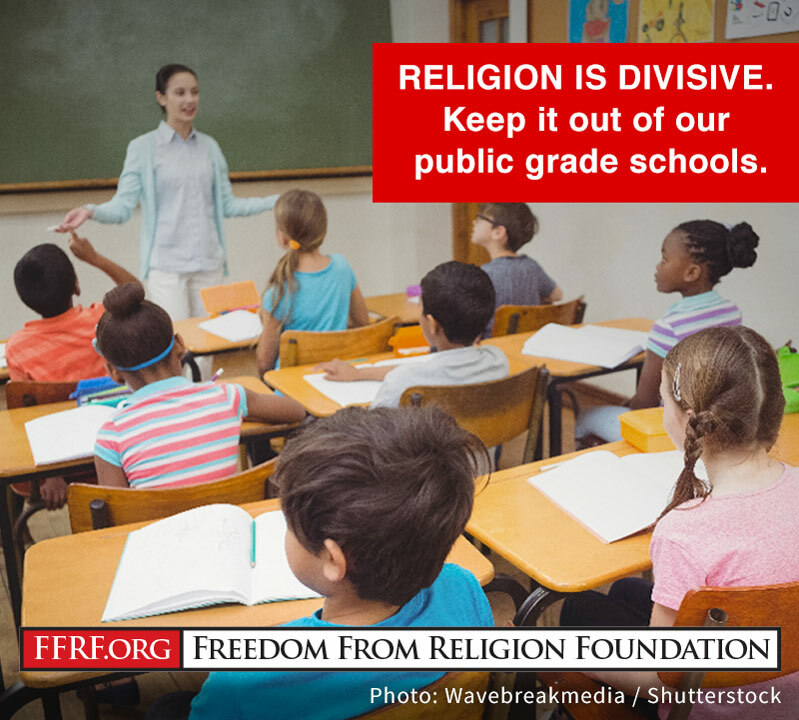 The Freedom From Religion Foundation has convinced an Indiana elementary school to refrain from holding a teacher-led religious club. FFRF asserted that the three district employees organizing and leading have no business exploiting their official capacity as district representatives to lead this religious club as it is in violation of the Establishment Clause. Even when religious clubs are permissible, it is inappropriate and unconstitutional for district staff to lead or organize a student religious club, or to otherwise suggest that the district sponsors the club and, thus, its religious mission. FFRF applauds EVSC for upholding its obligation to preserve the constitutional rights of their students by keeping religious influence out of the sphere of public education.